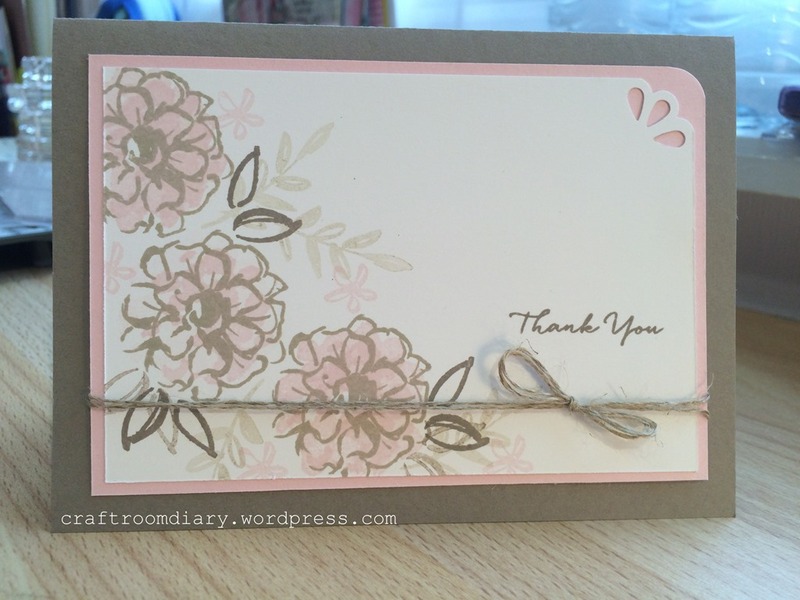 Today i am sharing with you a card made with one of Stampin’ Up! Sale-a-bration items, that were on offer this year. I really liked this set its one where you can build dimension with different shading by using the three different stamps for the flower head. I like to have a lot of thank you cards handy for when i need them. This one was so quick to replicate quickly.